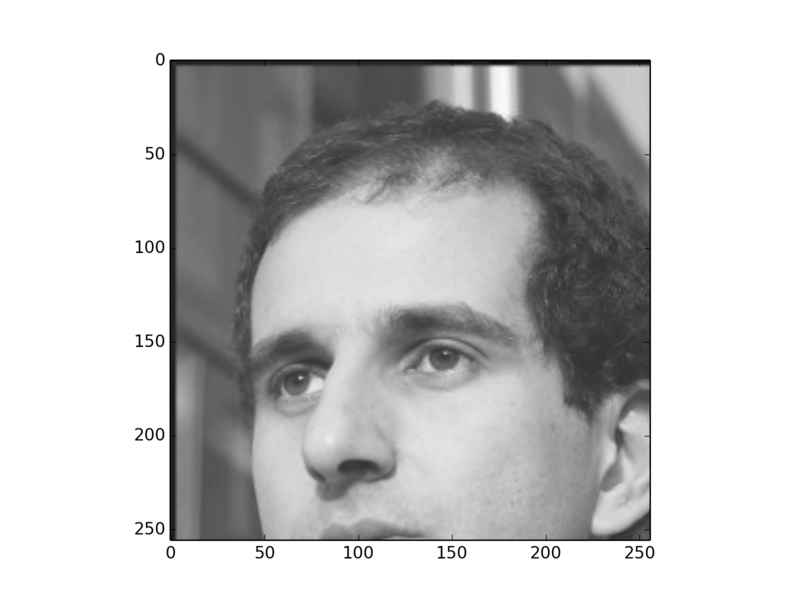 We are going to use wavelets to transform an image so that most of its values are 0 (and otherwise small), but most of the signal is preserved. The code for this tutorial is avalailable from the source distribution as mahotas/demos/wavelet_compression.py. There are no zeros in the original image. We now try a baseline compression method: save every other pixel and only high-order bits. There are only a few zeros, though. We have, however, thrown away 75% of the values. Can we get a better image, using the same number of values, though? We will transform the image using a Daubechies wavelet (D8) and then discard the high-order bits. This has 60% zeros! What does the reconstructed image look like? This is a pretty good reduction without much quality loss. We can go further and discard small values in the transformed space. Also, let’s make the remaining values even smaller in magnitude. 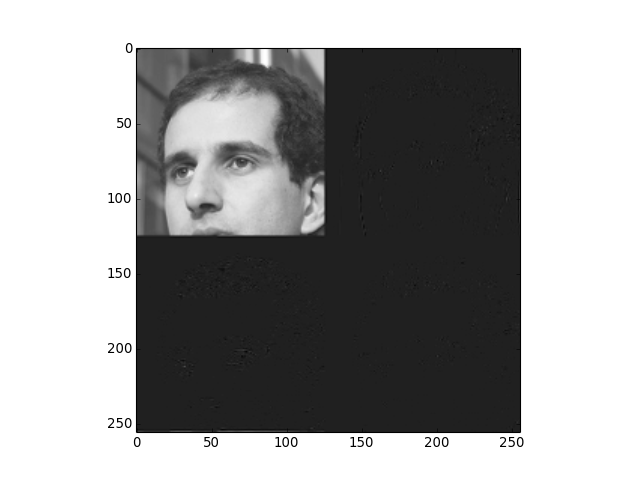 Now, this will be 77% of zeros, with the remaining being small values. This image would compress very well as a lossless image and we could reconstruct the full image after transmission. The quality is certainly higher than just keeping every fourth pixel and low-order bits. Now, rd is equal (except for rounding) to fc without any border effects.